Shine is made up of people: big and small, skinny and tall. Some are chatty. Some don’t speak until their morning coffee. We look after one another. We take time to ask after children, spouses, pets and houses; holidays, birthdays, ailments and weekends. 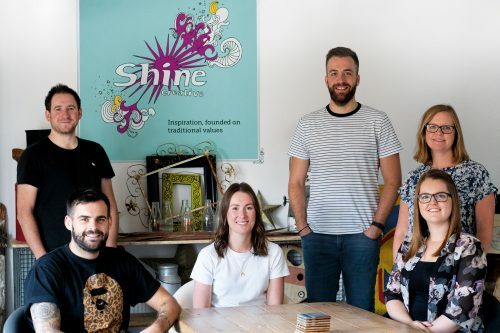 Shine is made up of people, from designers and artworkers to copywriters and marketers. Us, the team. Our clients. Our clients’ clients, customers, consumers, stockists, stakeholders, associates and team members. And our suppliers too. Without them, there would be no Shine.